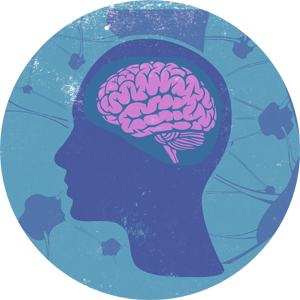 The field of Neuroscience is dedicated to advancing our understanding of central nervous system function and dysfunction in order to benefit the human condition. The Bachelor of Science degree program in Neuroscience will provide undergraduate students with an opportunity to engage in the in-depth study of Neuroscience from a uniquely interdisciplinary perspective. Students will receive extensive exposure to fundamental and applied aspects of Neuroscience through classroom and laboratory-based interactions with faculty members and research staff from several departments housed in the Colleges of Arts and Sciences and Medicine, including Biology, Anatomy and Neurobiology, Chemistry, Physics and Psychology. The scope of this training spans the entirety of key topics in Neuroscience and includes examination of biological systems ranging from cellular/molecular neuroscience; neurophysiology; neuroanatomy; and integrated neuroscience including behavior. Classroom-obtained Neuroscience principles will be applied in a required six credit independent research project to be conducted using state of the art technological and methodological scientific approaches in the research laboratory of a faculty member of the University. In employing this multidisciplinary, applied approach to the study of Neuroscience, this curriculum will promote development of critical thinking, communication, and independent scientific skills necessary for students to pursue lifestyles and careers in Neuroscience that are economically viable, socially desirable and of significant National and local interest. The undergraduate neuroscience degree program will educate students planning on graduate studies in neuroscience and related subdisciplines; students who plan to pursue a professional degree in a health related field such as clinical psychology, medicine, pharmacy, public health, physical therapy, and veterinary medicine; students interested in employment in academia and industry; and students who plan to enter related fields including scientific and medical publishing, science advocacy and government relations, and non-profit or professional organizations.